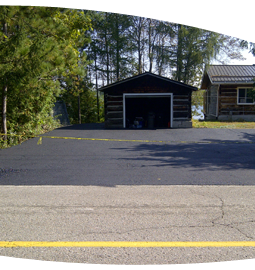 Looking for a more economical means of creating a durable surface for your driveway or laneway? Then Reclaimed/Recycled Asphalt may be the answer for you! In addition to being an eco-friendly paving option, this method also costs less than traditional hot-mix asphalt paving. It is an alternative pavement surface that is a step above gravel, and a step below hot-mix asphalt paving. While not for everyone or suitable for all intended purposes, this alternative method is widely used by those with lengthy rural laneways, or as a means to surfacing a cottage property driveway.